We are homeschooling moms that love classical education! Our vision, our goal, and our desire is to support individuals and/or groups of like-minded parents who seek to classically educate the next generation. The Lesson Plan Ladies are three home schooling mothers with education degrees who desire to assist fellow or future home educators. Their lesson plans are based on classical curricula they have tried and loved over the years. Jill is a graduate of Texas Tech University with a degree in elementary education, who also holds a minor in math. Jill has twenty-three years of teaching experience. Ten of those years were spent teaching in the public school system, four in private school, and the last seven in home schooling two of her children. Jill is a wife and mother of three - ages 11, 13, and 20. When not preparing lessons or teaching, Jill enjoys thrifting and reading. Meg has a degree in health education with an emphasis in special education from Texas A&M University. She spent one year teaching high school geography in the public school system, and the last eight years schooling her children at home. Meg is a happily married mother of four - ages 6, 8, 10, and 13. She enjoys rehab projects, watching Netflix, and cooking new Pinterest recipes! Erica has an elementary education degree from Howard Payne University with an emphasis in early childhood education. She spent one year teaching pre-kindergarten at a private school in northern Virginia, and has been home educating her children for the past eight years. Erica is a wife and mother of three - ages 10, 12, and 14. Erica's hobbies include photography, gardening, and shopping. It could accurately be said that none of the Lesson Plan Ladies had any intention of home schooling in the beginning. 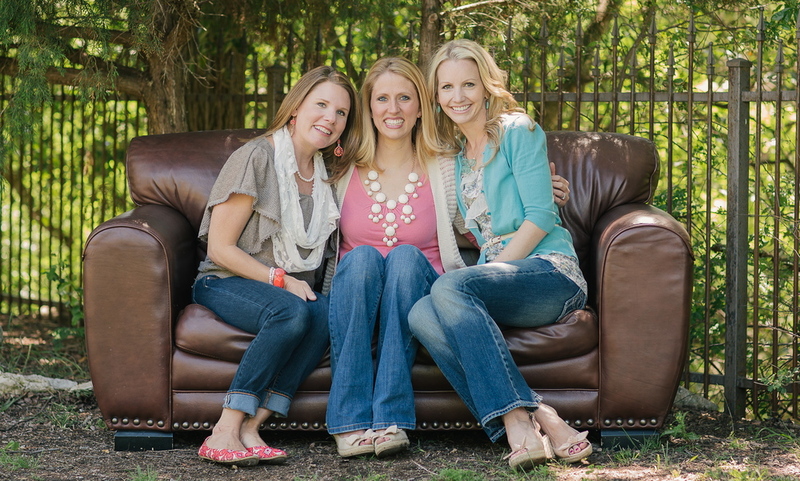 In 2008, Jill and Erica found themselves faced with the decision of where their children would attend preschool. Erica had already enrolled her son in a local preschool program, only to find that it had been cancelled at the last minute. Jill was about to return to her 13th year of teaching, when realized her interests were too divided between her home and the classical school where she taught. Jill decided not to return to teaching private school, but instead to stay home to teach her daughter. That year, she joined forces with Erica and another friend to form their own in-home preschool. Thus began an amazing home education journey none of them could have foreseen. It was through this pre-kindergarten trial run that they began to learn more about home schooling and various teaching philosophies (mainly classical), and that they discovered what makes an organically-grown co-op run smoothly. About this time, Meg was beginning her own home school research. She met these ladies and talked with them extensively about curriculum, teaching philosophies, and their exciting co-op stories. Jill and Erica were thrilled to have Meg join the team in time for kindergarten the following year. Our teaching philosophies have meshed well in our time together. We are excited, thankful, and sometimes overwhelmed to be finishing our ninth year of homeschooling. Among the valuable lessons we have learned during our shared home education journey, the most important is that each person comes into co-op with her own unique gifts and abilities. One is not more important than another. All are valuable and needed. We aim to support and aid individuals and/or groups of like-minded parents seeking to reproduce the equivalent of a Christian, private, classical education on a smaller scale and budget. Our goal is to help you develop your own home-based, Christian, classical home school. This may be an individual effort or a co-op consisting of like-minded families with whom you can share accountability and encouragement on your home schooling journey. We desire that our many years of intentional research, curriculum writing, lesson planning, carefully thought out materials, and shared “lessons learned” will lighten your load and provide clear, accurate direction for your future co-op and home educating needs.